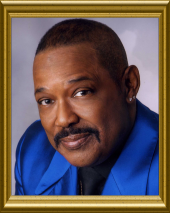 Vocalist extraordinaire Eddie Holman is among the most listened-to artists in the fields of popular and classic R&B music. His unforgettable falsetto voice and the tune that he popularized is perhaps the most recognizable urban love-song in much of the English-speaking world. "Hey There Lonely Girl" is the beautiful tune that seems to touch every ones soul as it emanates from airwaves or churns from the turntables of fans. It is the composition that distinctly defines how it feels when the young gent helplessly yearns for his lady, the object of his affection, who has been spurned by her ex! The song concludes: "Don't you know this lonely boy loves you!". No other classic love-song in modern recorded history has had as much an impact on the lovelorn, or said it better than this 1970 mega-hit. Although he started singing at the age of two, Eddie Holman's venture into show business began after his family relocated to New York City from Norfolk, Virginia in 1954, when he was eight years of age. It was there that his strikingly beautiful mother exposed her child prodigy to the piano, guitar, singing, and the performing arts in and around the bustling city. As Eddie's musical talents blossomed, his unique gifts led him to victory on the most challenging stage in the Metropolis, The Apollo Theater Amateur Night. With a choirboy image, Little Eddie Holman as he was then called became so proficient as a performer that, in time, his vocal prowess as an adolescent was even showcased before crowds at the elegant Carnegie Hall and popular Off Broadway Theaters. In search of creative freedom, and in order to expand his artistic boundaries, Eddie was enrolled in Harlem's prestigious Victoria School Of Music to study along with other gifted youngsters while he appeared regularly on NBC's "The Children's Hour." Eddie's star shone even brighter when, during his teen years, he moved to the City of Brotherly Love, Philadelphia, Pa., where he attended Overbrook High School, and further advanced his secular education by joining the proud alumni of Cheney State University. While attending the university, Eddie's ultimate dream materialized with the release of the first of a caravan of charted hit-songs: "This Can't Be True, Girl." This musical selection signaled the beginning of a collection of prolific love ballads that would provide a rock-solid foundation for the launching of the illustrious career of one of the recording industries pioneers of romance. While on the edge of major international acclaim, Eddie Holman continued to release a number of successful albums, some under his own gospel label, Agape, and on which label he plans to record additional longed-for projects in the near future. Schoochiebug Music Publishing and Agape Records (Eddie's companies) are the exclusive sources that Eddie continues to use to glorify his maker in his own way. Eddie's lyrical masterpieces are so timeless that in 1998, Hollywood got in on the act by adopting "Hey There Lonely Girl" as one of its theme songs in the Martin Lawrence/Tim Robbins film titled, Nothing To Lose. Also, in 1999 Toyota featured the song in a worldwide television commercial, advertising the Camry automobile. Eddie's repertoire has secured unending accolades over the years and his admirers include industry artists such as Isaac Hayes, Dionne Warwick, and super-rapper NAS. In fact, NAS was so impressed by Eddie's style that he sampled his song, "I Love You" which was co-written by Eddie's creative wife Sheila on his platinum mega-hit CD titled God's Son. It was at Sheila's insistence, by the way, that Eddie reluctantly committed to record his greatest R&B classic. Eddie's smooth-flowing style is a reflection of the primary musical influences in his life: Jackie Wilson, who is arguably the greatest stage talent ever, and the velvet crooner himself, Nat King Cole. These two industry giants are the creative example for the younger Eddie by their boundless exhibition of class and style. Jackie's undulating vocal gymnastics and Nat's soothing voice served as the backdrop for the sensational vocal orchestrations synonymous with Eddie Holman. As a frequent touring roommate of Jackie's, and although influenced by Jackie more than anyone else, Eddie tirelessly shaped his own unique style by molding his delivery into an electrifying display of raw vocal prowess, as witnessed by the fever-pitch eruption of applause from the congregants of T.J. Lubinsky's PBS tribute to "Doo Wop, R&B 40" which aired in the year 2002. Eddie Holman works year-round, performing at concert halls around the country and throughout the world, mesmerizing throngs with his rich tenor voice and the original Philly sound (which Eddie helped define). Eddie can even be located performing on some of the more popular cruise ships perusing the Atlantic, and he can also be witnessed serving up a heaping dose of pop and soul where his popularity is at an all-time high, English clubs and the pride of the UK, Wembley Stadium. Touring with the Eddie Holman Band is something that he enjoys immensely because of the fan appreciation, the spontaneous adulation, and the opportunity to share his golden classics with a new generation of fans. Daily, new music enthusiasts are turned on to the Philly sound, and prominent among the ambassadors of soul is the pride of Philadelphia, Eddie "Smooth as Silk" Holman. A loving father of three, Eddie Holman is an ordained Baptist minister that uses his music as a tool to encourage togetherness in families. He recognizes his talent as a gift from his creator and feels an obligation and an indebtedness to use his abilities, music and otherwise, to spread good will everywhere he is blessed to perform. As for today's music, he thinks that much of it is positive and some of it is noxious. He believes that those who are blessed with creative talent have a responsibility to encourage personal accountability and to set the best example possible because of the powerful influence that they have on the lives of so many young ones. He says: "lyrics send powerful messages that impact the listener of songs in ways that the artist will never know." Eddie insists, "no genre of music is flawless and no music culture is completely bad." Eddie Holman is to this day a model Pennsylvania resident who works closely with community leaders, generously caring for the needs of those less fortunate. In line with this, Eddie plans to pen some of his noteworthy personal and public experiences by writing his autobiography. His interest in the arts extends far beyond the recording industry; it takes in the countless educational systems that prepare our children to appreciate all of the performing arts. Once in a lifetime a talent in the mold of the fabulous Eddie Holman happens into our lives with a sound and an aura that is so incomparable that the public embraces it with heartfelt affection. Like a Nightingale in springtime in one fell swoop, Eddie Holman delivers a melodic phrase with passion, and then woos the awestruck audience with bursts of tantalizing musical ecstasy. A true singer's singer, Eddie will continue to expend himself ceaselessly to the ends of the earth, as Philly's musical gift to the world. Eddie Holman's exemplary career has certainly stood the test of time, and his dignified musical legacy is one that will continue to flourish for as long as there is a song to sing.